Standalone media devices connect directly to the Internet and don’t require an intermediary PC to watch movies. In other words, with a standalone media device you don’t need an actively running PC to gain access to Internet content. TiVo: While TiVo is known for its personal video recording (PVR) functionality, it is moving well beyond that space with deals with Yahoo!, Live365, Netflix, and others that in aggregate will open up the TiVo box to the whole Internet. Under the Netflix deal, for instance, you would not have to wait a day to get your disc — it would be downloaded in an hour to your unit. With your Live365 subscription, you can access thousands of radio stations on Live365’s network through your home theater setup without even needing a PC. Roku Netflix Player: The folks at Roku have branched out beyond their audio-only Soundbridge players and into the home theater video world with the Roku Netflix Player. This inexpensive player is designed for use with the Netflix video rental service. About 10 percent of the hundreds of thousands of DVDs available in Netflix’s catalog are available also for streaming. If you’re a Netflix customer, you can go to Netflix.com now and start streaming movies to your Windows PC. With the Netflix Player, you can move this capability right into your home theater. The Netflix Player includes Ethernet and 802.11g capabilities (for connecting to your home network and the Internet), and has component and HDMI outputs for making a video connection to your HDTV (as well as analog and optical digital audio inputs for connecting to your home theater receiver). Try Roku’s Netflix Player to get Internet-based movies into your home theater. VUDU: VUDU is a relatively new player in the standalone video player market. Like the Netflix Player, it is tied to a specific service (in this case, VUDU’s own service) and is a standalone device that doesn’t need to work with your PC. Be aware of a couple of big differences between the Netflix Player and the VUDU Box (the primary VUDU product — there’s also a more costly VUDU XL model for custom installations with systems such as Control4 and Crestron): First, VUDU uses a download model rather than streaming (VUDU has the first five minutes of about 5000 movies downloaded on your hard drive; when you select a movie the remainder is downloaded), and second, VUDU offers full 1080p HDTV content (something that we’ll eventually see from Netflix). The VUDU Box has a 250GB hard drive, HDMI and component video outputs, and digital audio outputs (both optical and coaxial). 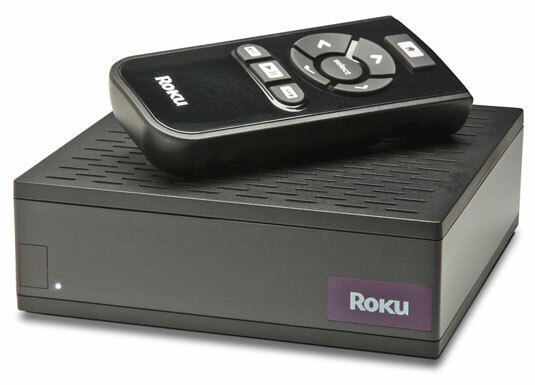 These attributes combine to give you storage space for about 50 high-definition full-length movies and full connectivity to your HDTV and home theater receiver. AppleTV: Like the Apple iTunes store? Want it in your home theater? Check out the AppleTV, which looks a lot like a shrunken down Mac Mini PC. The AppleTV comes with a built-in hard disk drive and Ethernet and 802.11n Wi-Fi connectivity. It connects to your HDTV with an HDMI connection and to your home theater receiver with an optical audio connection. The AppleTV can support 720p high-definition video, and the Apple iTunes store provides both purchases and rentals (with similar rental terms to those offered by VUDU) of Hollywood movies and TV shows. Of course, you can also access iTunes music, podcasts, and other content, as well as your photo library and YouTube videos.